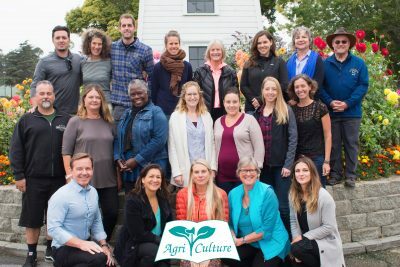 Agri-Culture’s land conservation program intends to preserve agricultural land for future use, and protect those properties from urban development. With the increase in urban development, it has become evident that land must be set aside for agricultural purposes for the benefit of current and future generations. Agri-culture’s conservation program owns agricultural easements for properties owned by farmers to ensure their continued use for agriculture. Currently the organization holds a conservation easement for the Sandhill Bluff property on the North Coast off Santa Cruz. 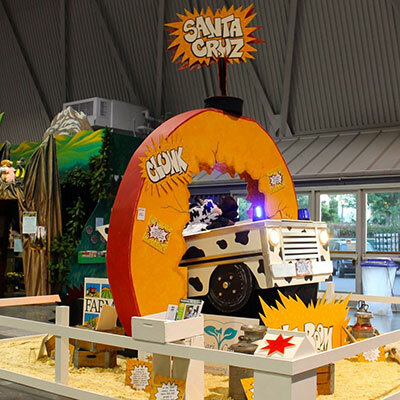 Agri-Culture takes the lead each year to showcase our county at the California State Fair. Over 800,000 visitors see the booth each year. This booth is then on display at the County Fair. Videos are produced on a timely basis to inform the public about agriculture in Santa Cruz County. The video below won a national award. 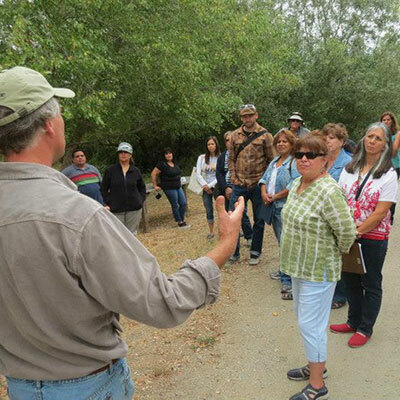 Each year, Agri-Culture provides numerous local agricultural tours to people from all over the world. The organization also provides numerous educational opportunities for local students. Please contact us for more information.